The Houston Arboretum & Nature Center encourages you to never stop learning and to have fun while you do it! We offer a variety of adult classes and social events, including nature workshops, birding and photography classes, and opportunities to experience the Arboretum at night. Adult beverages and snacks are included in most evening classes. Experience the Arboretum after dark with this special series of events, including night hikes, wine and cheese tastings, bat walks, stargazing through telescopes, and more. Houston is home to a variety of fascinating wildlife and native plants. 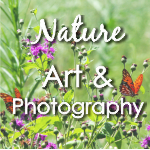 From classes on insects to lessons on native habitats, our Nature Revealed series provides you with an enhanced understanding of local flora and fauna. 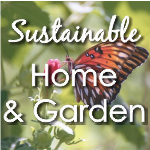 Our Plants & Gardening classes are dedicated to promoting native plants which will attract wildlife, save you money on landscaping and irrigation, and reduce the need for pesticides. In addition to the Arboretum’s sustainability, wellness, and native plant gardening classes, we also offer Food, Beer & Wine courses to enrich your lifestyle. In addition to offering courses focused on gardening and green living, the Arboretum also provides an opportunity to improve your lifestyle through lessons in Art & Photography.